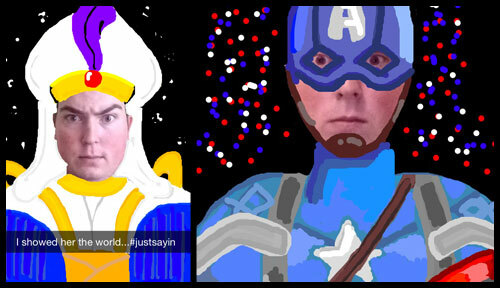 Giggle at these sarcastica, funny captioned Snapchat art by Niick-08. Check out his Instagram for more snaps. I got into snapchat art just by having a go myself at first I started flicking through google at everyone elses snaps to see if I was any good then ideas started coming and my snaps got more creative. I saw some ingenious things from turbanchino and emgarber and carola87 with her dot work is incredible and just went from strength to strength. I'm still improving and enjoying my snaps. Nothing beats the feeling after a 1-2 hour snap and nailing it.